An-Ping Hsieh has been Vice President, General Counsel for Hubbell Incorporated, a global NYSE traded company since September 2012. In this capacity, Ping serves as Hubbell’s chief legal officer and provides oversight on legal issues that impact Hubbell’s strategic initiatives and businesses. This oversight includes mergers and acquisitions, litigation, compliance, intellectual property and corporate governance. In addition to the Legal function, Ping has responsibility for EH&S, Trade Compliance, Flight Operations and administratively, Internal Audit. Prior to joining Hubbell, Ping served as Vice President, Secretary & Associate General Counsel for United Technologies Corporation (UTC). While Secretary, he also served as its chief transaction attorney, responsible for global mergers and acquisitions and anti-trust activity. Prior to this, he had roles of increasing responsibility within UTC including Vice President, General Counsel of the then UTC Fire and Security division, and Deputy General Counsel of Otis Elevator Company. Ping earned his law degree from Boston College Law School and his bachelor’s degree in political science from Yale University. 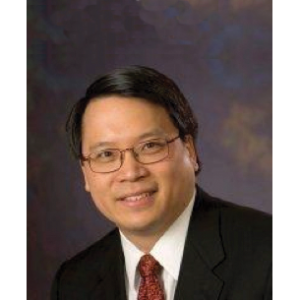 Ping is currently a board member of Connecticut Asian-Pacific American Bar Association, Make-A-Wish Connecticut and past member of the Connecticut Lawyers’ Collaborative for Diversity, the Mark Twain House and Greater Hartford Legal Aid. In February 2015, Ping was recognized by AABANY as its Corporate Counsel of the Year award recipient.